BU8 (Fall 2015) HBC Celtics and Rangers...Our U7 group trains twice every week with professional coaches. Emphasis is on the fundamental skills and ball movement.We play in the most competitive JSS travel division, we also play in a winter league and take part in a summer training program.The Celtic team won the Brooklyn Italians Columbus Day Tournament in the fall, we will enter at least one team again this year and both teams will take part in the HBC Labor Day Tournament. All try outs at HBC Soccer Park. BU8 (Fall 2015) HBC Germany…This is a new team. Playing in JSS league and will play in a few tournaments per year. We will be playing in a Tournament in June. Looking for players and parents that want to have fun while fielding a competitive soccer team. Our goal is to get kids to the next level. Training 2-3 x per week, indoor winter facilities, Summer training. All training fees are will be paid for by our sponsor next season. Come to Open practices at Caledonia park in Dix Hills 5pm – 6pm Monday and Friday. Wednesday 6:30 -8:00 at HBC soccer complex field 6 (Half Hollow Hills Park) in Melville. Open Practices are for the month of May and June. 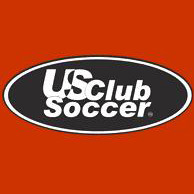 NSCAA Nationally certified trainer. Contact Seth 631-553-8154 before coming down in case of schedule changes. BU9 (Fall 2015) HBC Crew...Team trains professionally twice a week. Open practices/tryouts for the next 2 weeks. We play in LIJSL so all games are local. BU9 (Fall 2015) HBC Hornets…the HORNETS are a developmental team designed for those boys who are ready to transition from "intramural" to travel. Our practice sessions are designed to introduce the children and the parents to a new level in their soccer development as we work on individual skill sets while introducing team defending and possession concepts to the players. We will not focus on "winning" but rather on the development of each individual player. Down the road, winning will come from understanding how to play the game not from having the biggest kick. Since the focus will not be on "winning", the boys are given more responsibility and are encouraged to make mistakes without worrying about the results of the games. We will practice 2x per week. ANY PLAYER who wishes to participate will be rostered and will be given ample playing time provided they attend practice. BU9 (Fall 2015) HBC Valencia...Our U8 group trains twice a week throughout the Spring and Fall with professional coaches.We have played the last two years in the JSS division & summer leagues and will be playing in the NYCSL this fall. We also play in a winter league and take part in a summer training program. We will be entering the HBC Labor Day Tournament and other tournaments throughout the year.We are looking to add players to our roster as we move from 6 v 6 to 8 v 8. GU9 (Fall 2015) HBC American Girls…the AMERICAN GIRLS are a competitive developing team that likes to have fun. They are trained 2x per week by one of the top trainers on Long Island and are currently playing in JSS. Girls focus on individual skills and techniques while also developing a more attacking style of possession play. As we move from 6v6 to 8v8 in the fall we are looking to add a few dedicated players. GU9 (Fall 2015) HBC Heat…the HEAT are a developmental team designed for those girls who are ready to transition from "intramural" to travel. Our practice sessions are designed to introduce the children and the parents to a new level in their soccer development as we work on individual skill sets while introducing team defending and possession concepts to the players. We will not focus on "winning" but rather on the development of each individual player. Down the road, winning will come from understanding how to play the game not from having the biggest kick. Since the focus will not be on "winning", the girls are given more responsibility and are encouraged to make mistakes without worrying about the results of the games. We will practice 2x per week. ANY PLAYER who wishes to participate will be rostered and will be given ample playing time provided they attend practice. BU10 (Fall 2015) HBC Gladiators…the GLADIATORS are a developmental travel team. Our practice sessions are designed to introduce the children and the parents to a new level in their soccer development as we work on individual skill sets while introducing team defending and possession concepts to the players. We will not focus on "winning" but rather on the development of each individual player. Down the road, winning will come from understanding how to play the game not from having the biggest kick. Since the focus will not be on "winning", the boys are encouraged to make mistakes without worrying about the results of the games. We will practice 2x per week. ANY PLAYER who wishes to participate will be rostered and will be given ample playing time provided they attend practice. BU10 (Fall 2015) HBC Italy… existing top level team playing in the NYSC Major division (Team Italy). We also play a few tournaments year. We will be playing in a tournament in June. Looking for players or athletes to take to the next level. Come to open practices at Caledonia Park in Dix Hills on Monday at 6pm-7:30 and Wednesday and Friday at HBC Soccer Complex Field 6 (Half Hollow Hills Park Melville) 6:30-8pm Open practices are during May and June. Team training fees are paid for by our sponsor for the past 2 years. Indoor facility in the winter and summer play. Please contact Seth 631 553-8154 or Simon 516-375-5588 before coming down to open practice in case of schedule changes. BU10 (Fall 2015 ) HBC Liverpool Is looking for new players to add to our team. We are currently playing BU9 in LIJSL, but will be BU10 in the Fall. Our team is currently professionally trained 2x per week increasing to 3x in the fall, including a day of speed, strength and agility training. We need to move on to the next level and are looking for extremely dedicated players that have the desire to play on a serious team with serious training. We currently hold open practices every Thursday at 7:15pm at Caledonia Park. If you are interest in attending please send an email to Bill Wisotsky at hbcliverpool@icloud.com. We are also on the web at http://www.hbcliverpool.us and on Facebook at https://www.facebook.com/hbcliverpool. GU10 (FALL 2015) HBC Mighty Tigers...IN NEED OF GOALIE AND ONE OR TWO FIELD PLAYERS. The Mighty Tigers are a fun loving yet hard working group of amazing girls. The aim of the coaches is to have fun learning soccer so we can win games. We are currently at the top of the LIJSL green division. We train year round and play in several tournaments a year. Our goalie moved out of state last season and we need a new goalie. This new goalie would have the opportunity to play most, if not all, of every game. In addition, the head coach is certified to teach goalie to this age group, and there will be ample opportunity for exclusive goalie training. We are also interested in adding one or two field players. Please contact Bill Inzerillo at winzerillo501@gmail.com or call 631-754-1650 if you are interested. BU11 (Fall 2015 ) HBC Annoying Oranges (aka "the AO's")...Born btw 8/1/04-7/31/05. The AO's are a very competitive team who have the same core group of boys who played at the YMCA when they were 5 yrs old, hence they are a tight knit group of great kids & families. 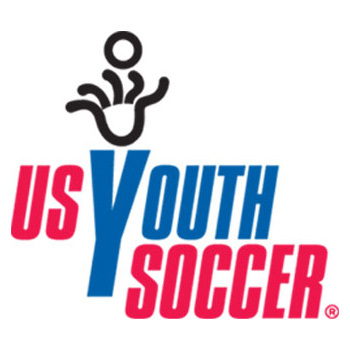 We compete at the highest levels of the NYCSL league and play in at least 3 tournaments a year. The team is professionally trained 2-3/week and we are always looking to add quality players if there is a good fit. BU11 (Fall 2015) HBC Arsenal...HBC Arsenal play in the NYCSL D3. We train twice a week with professional coaches and take part in winter leagues and summer training programs.We will also be entering tournaments throughout the year.We are looking to add players to our roster for the upcoming U11 fall season, all positions including goalkeeper. BU11 (FALL 2015) HBC CITY...BOY’S HBC CITY WILL TRAIN 2-3 TIMES A WEEK AND PLAY IN NYCSL D 4 OR 5. WE ARE PROFESSONALLY COACHED BY THOSE THAT PLAYED THE GAME AT A HIGH LEVEL. WE WILL TRAIN OVER THE SUMMER AND WILL PLAY INDOOR AS WELL OVER THE WINTER. WE ARE LOOKING FOR PLAYERS THAT WILL MAKE A COMMITMENT TO SOCCER AND THIS TEAM. TRYOUTS WILL BE HELD JUNE 3RD, 5TH, AND 8TH AT THE HBC COMPLEX FROM 6-7:30PM. FOR MORE INFORMATION, PLEASE CALL FRANK AT (516)317-8335 OR EMAIL AT FPALUMBO_21@YAHOO.COM. BU11 (FALL 2015) HBC FIRE...the FIRE are a boys travel team that plays in the LIJSL. They have learned alot in the past year and are beginning to play a nice possession style of soccer. We practice 2x per week and play and practice all year round and in tournaments. This team plays outstanding soccer for their age and is built around a core of players who have been a part of our developmental program for the past 2 years. Please note that we will not be focused on winning but rather on teaching the boys the proper techniques, skills and understanding of the game that will be necessary for them to develop into a high level team. This team plays and trains year round. BU11 (Fall 2015) HBC Gunners...The BU10 Gunners play in the NYCSL D2 South and could move to D1 in the Fall.We are trained professionally twice a week and enter competitive tournaments throughout the year as well as playing in a winter league.We are looking to add talented and committed players to our squad for the fall season. Dates: Try outs/open practices; Tuesdays June 2nd/9th/16th 6.30pm-8pm. For more info please email: johnhboro@yahoo.com or call 917-270-4279. BU11 (Fall 2015) HBC Thunder...The Thunder are a very competitive team coming off a great Spring season. We play in LIJSL Premier division, and we are currently finalists in the LI Cup major division, semifinalists in the NY Cup Silver group, and we were semifinalists in the Arch Cup state tournament. We have built around the same core group of boys, and they have become a great group of kids & families. We are looking to add a few strong players that are a good fit to our team for the Fall. We are professionally trained 2 times a week, and play year round (including a winter league and at least 3 tournaments). Open tryouts will occur on Fridays June 5, 12 and 19 at HBC Complex, field 1 from 5-6:30pm. Please email us at hbcthunder@gmail.com or call Brian at 917-364-1136 before attending. GU11 (Fall 2015) HBC GRIZZLIES...The GRIZZLIES are a NEW team looking for players to join us for the F2015 season. We have group of girls who have been playing on one of our older teams and we would like to get them back on age if we are able to add enough girls. Our players have improved greatly over the past year. This team provides a great opportunity for players who want to learn. We focus on instruction rather than winning. The girls play a possession style of soccer and our concentration is on passing, moving with and without the ball, foot skills and team defense. This team plays and trains year round. BU12 (Fall 2015) HBC Kings...A highly competitive team that has been together since 2008. We train professionally twice a week. Open practices/tryouts for the next 2 weeks. We play LIJSL division 1 and are looking to move up to the Champion or Premier division in the Fall. BU12 (Fall 2015) HBC EARTHQUAKE...the EARTHQUAKE Iis for players who are still developing their athletic and technical skills. As players this age grow at different rates we place them in a situation where they can play and succeed. We practice 2x per week and play in a weekly league. This team is good for the developing and new player...we spend a lot of time teaching the fundamentals,proper techniques, skills and understanding of the game. This team plays and trains year round. GU12 (Fall 2015) HBC FALCONS...The FALCONS are a NEW team looking for players to join us for the F2015 season. We have group of girls who have been playing on one of our older teams and we would like to get them back on age if we are able to add enough girls. Our players have improved greatly over the past year. This team provides a great opportunity for players who want to learn. We focus on instruction rather than winning. The girls play a possession style of soccer and our concentration is on passing, moving with and without the ball, foot skills and team defense. This team plays and trains year round. GU13 (Fall 2015) HBC DIAMONDS...The DIAMONDS are looking for players to join our team for the F2015 season. This team has improved greatly over the past year and provides a great opportunity for players who want to learn. We focus on instruction rather than winning. The girls play a possession style of soccer and our concentration is on passing, moving with and without the ball, foot skills and team defense. This team plays and trains year round. GU13 (Fall 2015) HBC Jack Pot… will be holding tryouts on June 3rd & 10th from 4pm-5:30 at Southdown Elementary School, 125 Browns Road, Huntington. We're looking to a few talented, committed, hardworking players who will fit into our team concept. Our team is a great group of girls with an awesome team culture and an amazing coach and trainer. We compete in LIJSL division 2 in both the Spring & Fall seasons. We're a professionally trained team. The team practices 2x per week in the fall, 2x in the Spring & trains indoors in the Winter. We play in Memorial Day, Labor Day & Columbus Day tournaments. We have a professional trainer Sam Carrington who compiled over 150 wins as Head Coach at St. Francis College and Quinnipiac University (both Division 1 programs). In 2006 he was Head soccer coach of St. Vincent U-20 National Team. Primarily led preparation for U-20 World Cup Team. Head coach Liz Bentley played Division 1 Soccer & Lacrosse at University of Virginia. She brings a wealth of experience and is a great role model for the girls. Families must be committed to the team and enjoy watching their child play a good brand of soccer. If your daughter is interested in joining a good soccer team & wants the opportunity to be coached & trained by two VERY experienced soccer professionals have her come on down and try out. Our coaches & professional team trainer will be on site to evaluate the players. Coaches will be there to answer any questions before or after the session, the try outs will last approximately 1 hour and 30 minutes. Any questions please contact coach Charlie @ 516-782-8261 All inquiries will be kept confidential. BU14 (Fall 2015) HBC COBRAS…The COBRAS are an intermediate level team that has been together since the Fall 2013 season. The boys have improved tremendously since their inception and will be playing in the LIJSL in the fall. We have provided a solid foundation upon which to build and the boys are being taught how to properly play the game. They have a very good core of players and are looking to add dedicated, hard workers who are looking to learn how to play properly. We practice 2x per week all year round. We take the time to work with and teach the boys proper techniques while helping them better understand the game. We do not focus on winning but rather on player development. This team plays and trains year round. GU14 (Fall 2015) HBC PANTHERS…the PANTHERS are an outstanding collection of girls who play a great possession style of soccer. The girls are taught foot skills, moving with and without the ball, positioning, passing and team defense. The Panthers are 2013 NYC Cup finalists, 2013 LI Cup Semi-Finalists, 2014 NY Cup Quarter Finalists, 2015 LI Cup Semi-FInalists. We play in out of town tournaments and practice and play in leagues and tournaments year round. GU14 (Fall 2015) HBC Spark…The HBC Spark is currently hosting open practices for interested players. The team is professionally trained and managed by a nationally licensed, highly experienced coach whose aim it is to develop players’ techniques and tactical awareness in a dynamic and positive team environment. Players interested in trying out should have a solid soccer foundation and the motivation to improve their level of play. The team currently competes in high level league play and nationally recognized tournaments while maintaining a year round training curriculum. BU15 (Fall 2015) HBC BLACKHAWKS…The BLACKHAWKS are a very solid team that has come a very long way over the past 4 years. Currently the team has a good core of players that are beginning to have a great understanding of the game. They have excellent defensive shape and understand how to play an offside trap very well. We are looking for dedicated, athletic players to join the team and help us make the next step. The Blackhawks currently play LIJSL.They play and train year round. All try outs at TJ Lahey Elementary 625 Pulaski Road Greenlawn. BU16 (Fall 2015) HBC ALLIANCE...The ALLIANCE are a very solid team that just started playing together in the FALL 2014 season. The boys improved tremendously in that very short period of time and are becoming a very good team. They practice 2x per week year round. We will work around school ball and will field in the fall. We are only looking for serious players and have very limited roster openings. We will attend college showcase tournaments. GU16 (Fall 2015) HBC APACHES...PREMIER...The APACHES are a very competitive PREMIER team and are 2013 NY CUP Quarter-Finalists AND 2014 Presidents League Finalist. We play in out of town COLLEGE SHOWCASE tournaments and practice and play in several leagues and tournaments during the winter. This team plays outstanding soccer and is ready to go to another level in their understanding of the game as we begin to develop a more attacking style of possession play. Since we play a particular style we are looking to add a couple of hard working, dedicated athletes to the team now as we begin to prepare for our college showcase years. This team is built around a large core who have played together since U9 and under the direct supervision of our licensed head coach who has over 23 years of youth soccer coaching experience and is coached and trained by former D1 college players. We play and train year round. GU17 (Fall 2015) HBC Wanderers…HBC Wanderers are holding open tryouts for player candidates for the fall 2015/spring 2016 seasons. The Wanderers currently play in the EDP league and attend the top College Showcase tournaments. We are professionally trained 2/3 times a week, both field and goalie, and we manage our fall schedule to complement the school soccer season. Please contact Head Coach Paul Biegler at 516-790-1444 orarchtect86@gmail.com for additional information regarding dates, times and locations or trainings. HBC Fusion is a premier level team that trains and competes year round. Fusion is looking for dedicated and committed Players that have aspirations to play at a collegiate level. Fusion focuses on Player Development and Team commitment . Fusion will proudly graduate four seniors in the Class of 2015. All four of our Players will be playing soccer at a collegiate level in New York and Pennsylvania. Fusion Staff provides guidance and support throughout the Collegiate recruitment process. We are professionally trained and Coached by Tim Bradbury. Fusion invites interested Players to attend open practices on Wednesday and Friday evenings. Contact Fusion-soccer@hotmail.com for location, times and additional information.